This book is hefty on time travel and the timelines and fixed points that come along with it. 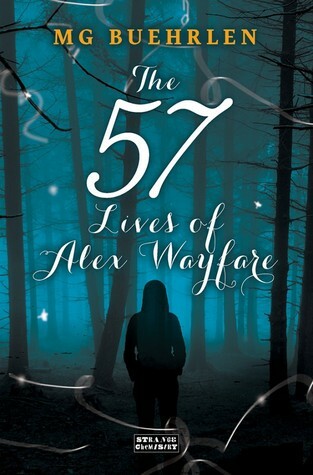 As a Descender, Alex has the ability to travel back in time to any of her 56 lives that she has lived. Although Alex has one soul and one “base life,” she still can access limbo; the space between life and afterlife. The one flaw Alex has is that she cannot remember any of her past lives, only flashes of memories—a deja vu like experience. I could explain a lot further about the intricacies of the plot and how much attention to detail M.G. Buehrlen adds to the story, but it would require just as much time as it takes to read the book itself. While I applaud the intricate plot, I found parts of it confusing and convoluted. 2. Time travel plus reincarnation! This was a twist I did not see coming. Most books that involve time travel have the characters living finite lives. While they are able to travel across the whole of existence, their existence is still limited. With this novel, Buehrlen takes two characters and makes them able to reincarnate into a new “base life”. I found it peculiar that questions of the afterlife and spirituality are never broached even though Alex attends Sunday School regularly. Perhaps it is too complex a subject for one single YA novel, or maybe it will be brought up in later novels. Either way, it is something that I hope is explained, for this world is too good to go without it. 3. Good ole fashioned Good vs. Evil. At the heart of the novel is a standard good vs. evil plot. For as complex as everything is in this novel, I enjoyed that the plot had a simplicity to it. It was easy enough to follow while all hell was breaking loose around it. Bad guy trying to take over the world? We must take him down. How do we do it? Travel through time and through a series of timelines thwarting his plans over and over again. 4. Super cool periods in time. I loved, loved, loved the various places in time that Alex visited. Most books I read have characters visiting cliche and popular periods in history, yet Buehrlen chose unique places and characters that added such color and flair to the story. It made me excited to turn each page and want to see how Alex’s adventures in time played out. This was an exciting and fun read. It was definitely not what I was expecting, but well worth the time. I just finished this one. Your review came up on Goodreads. I liked it quite a bit (more than I've liked most of the YA stuff I've read lately). I hope the next book answers some more questions!